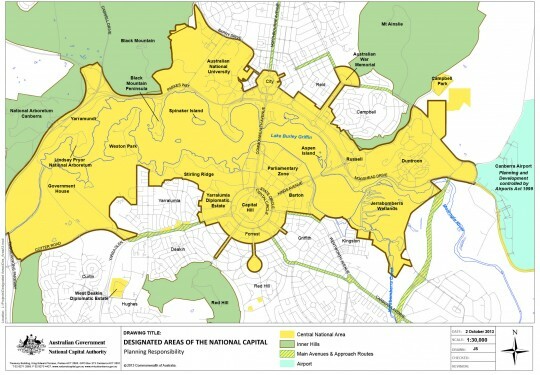 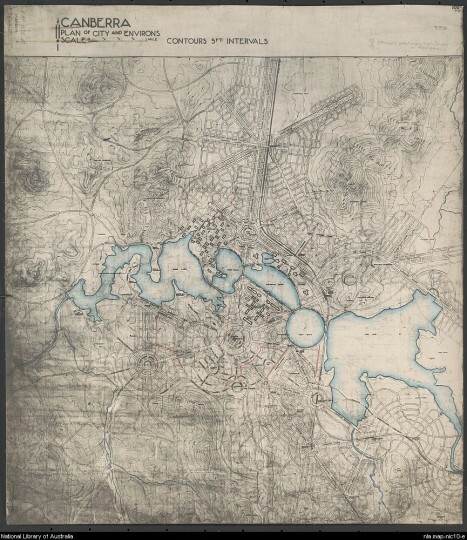 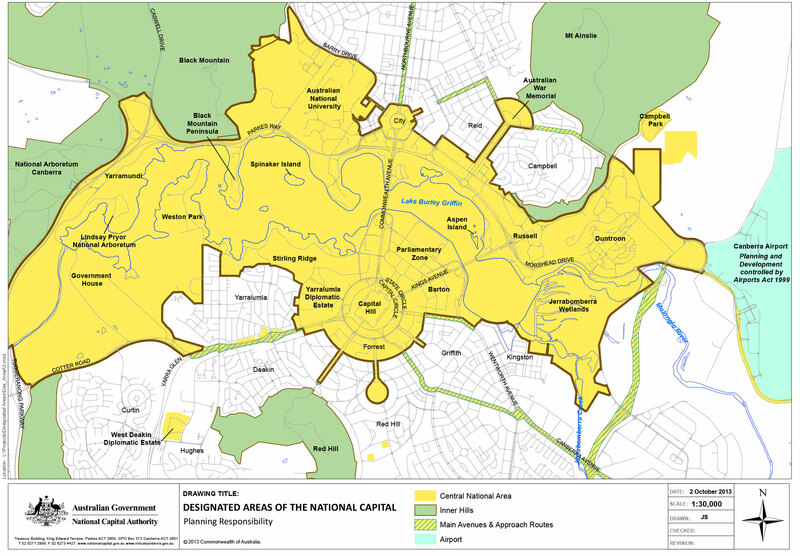 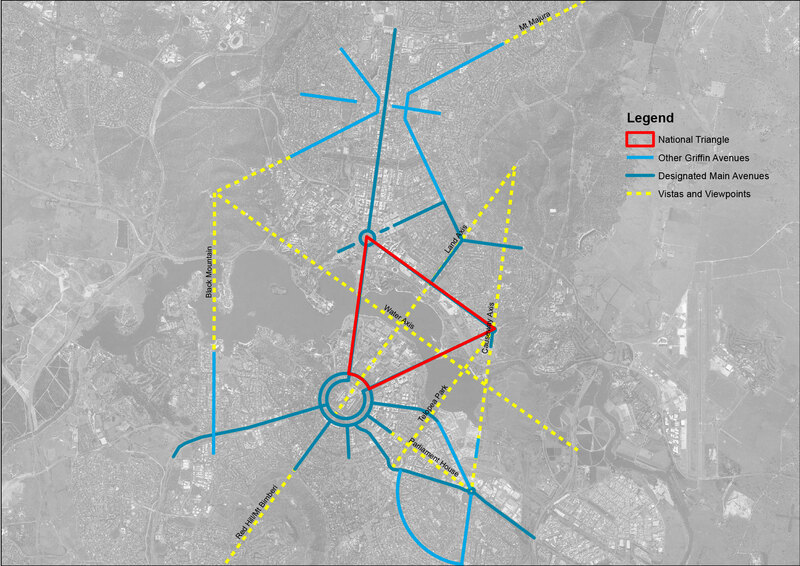 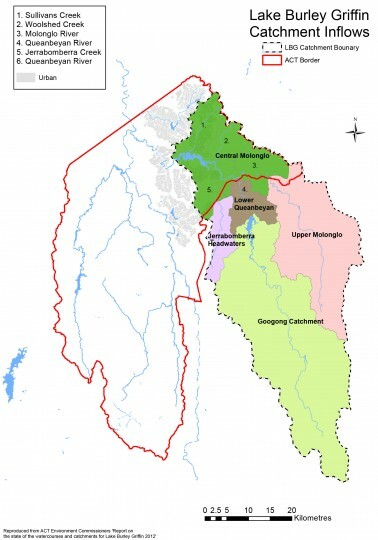 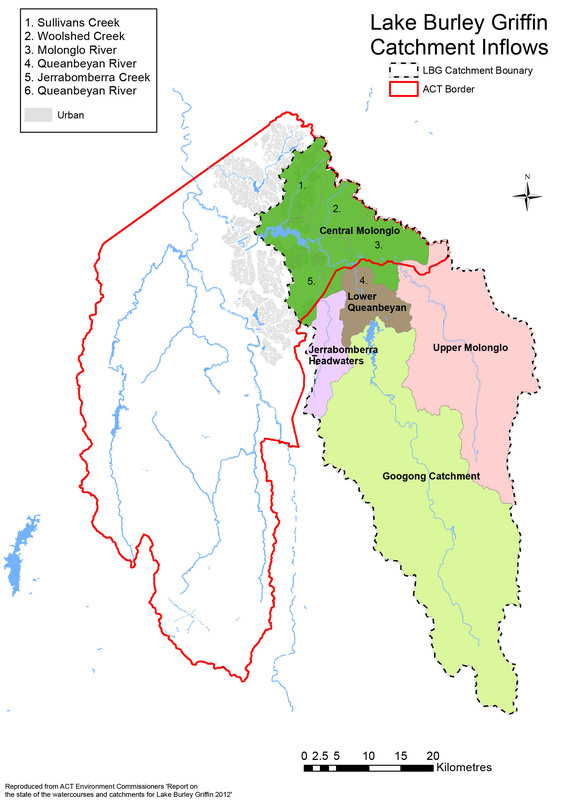 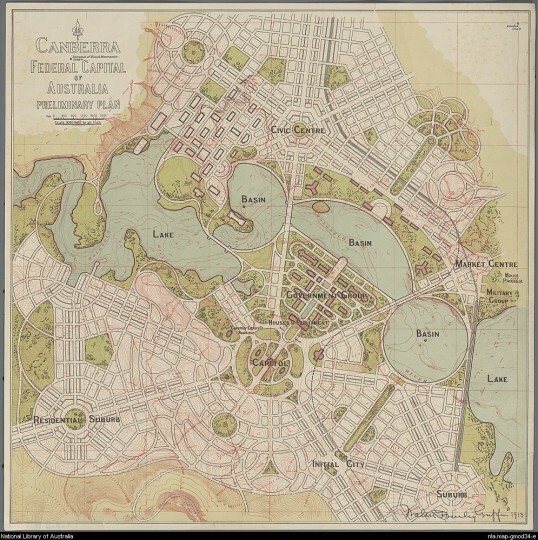 Canberra Plan of City and Environs ca 1916. 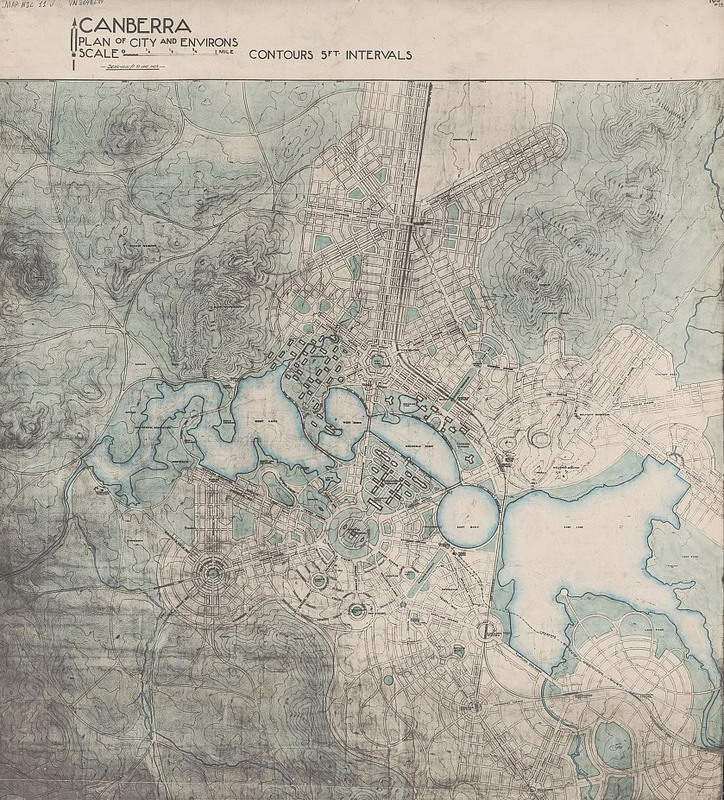 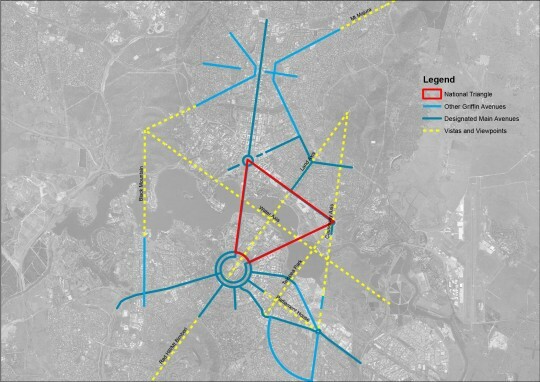 The coloured plan by W.B. 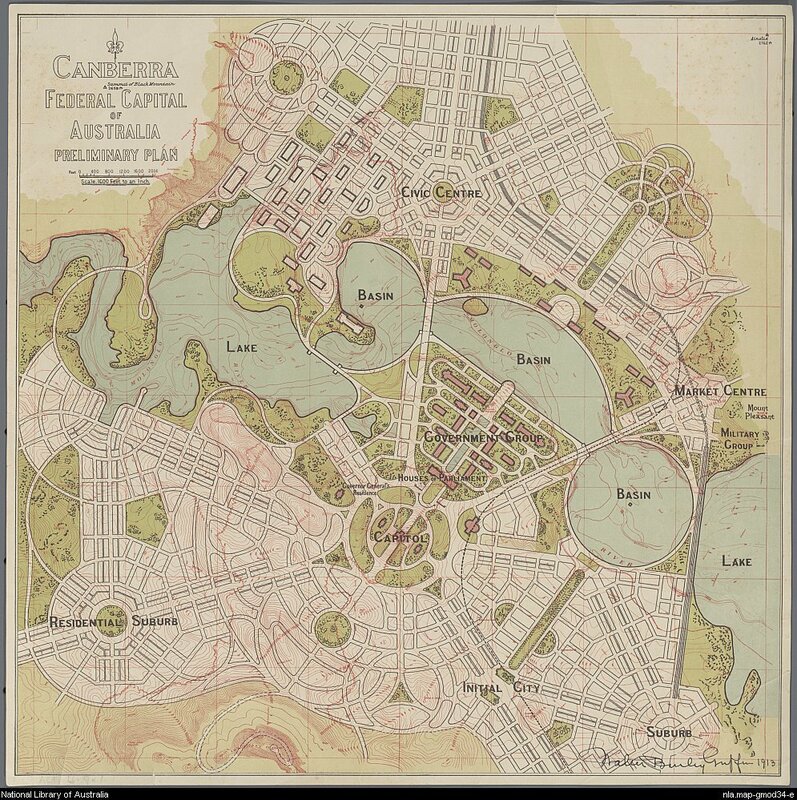 Griffin, from the Nicholls Collection (National Library of Australia) shows the extent of East and West Lakes and green shading highlights the landscape areas.